It may seem, to some readers of this blog, as though we spend all our time wafting about in meadows filled with cow parsley, cornflowers and apple blossom but here are some dates when we leave the sunny slopes and head off to places where our books can be seen and bought! This is the first time that this famous Fair has included designer bookbinders and a Private Press . . . us. Our stand is downstairs and on the way to refreshing coffee and somewhere to sit down. Quite possibly the perfect position! Do come to the Fair if you can. We can send you a free ticket, if you ask. Unfolding – celebrates the book in many forms by fine artists, printmakers and applied artists. 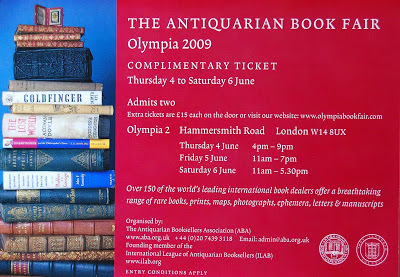 This is the successor to the London Artists’ Book Fair run for many years by Marcus Campbell. He is now expanding our horizons to collaborate with the newly re-furbished Whitechapel Gallery. The aim is to show the work of 70 international artists, bookmakers, gallery presses, publishing houses, art magazines and antiquarian dealers. More details nearer the time . . . The fair happens only every other year and this year promises to have some exciting presses from many parts of the world showing their most recent work, apart from everybody’s favourites from around the UK. Again, we will post times and details of speakers nearer the time. The complete portfolio of nine large wood engravings of birds will be exhibited in the Larkhall gallery throughout June. Prints are available for sale now.